Do you have an old mattress that you can’t replace because of budget constraints? Or are you hesitant to replace a recently-bought mattress? Then a mattress topper may be what you need, instead of buying a new mattress. There are lots of mattress topper models available. 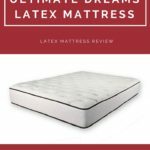 But if you’re looking for one that is soft and can provide pressure point relief, then consider the Ultimate Dreams King 3-inch Talalay latex soft mattress topper. This topper is placed directly on top of your mattress. It can add a nice, soft layer to your bed. It also puts added pressure point relief, so you can relax at night and enjoy a peaceful sleep. 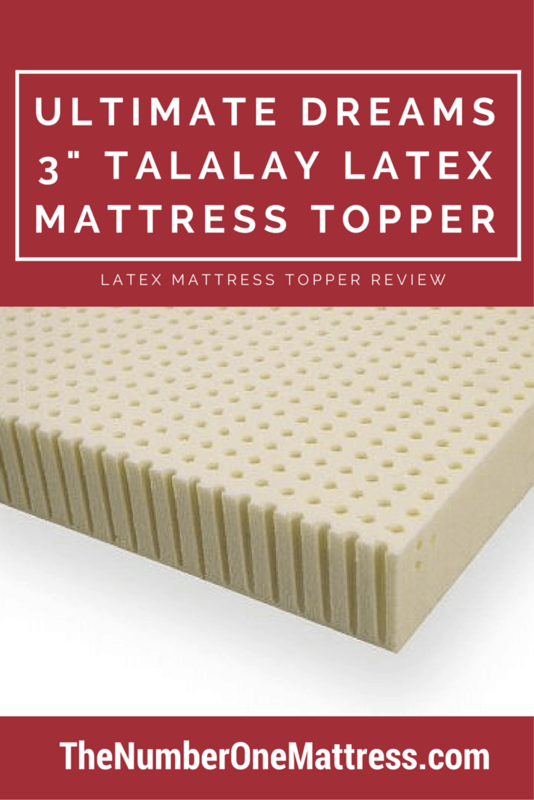 Moreover, the Talalay latex from which this topper is made of is breathable. This means you won’t end up sweaty in the morning because it adjusts to the body temperature. There are seven sizes to choose from. There’s twin, twin XL, full, queen, short queen, king, and California king. Talalay latex is a spin-off of the Dunlop latex manufacturing process. Dunlop latex is known for being heavy and firm, while Talalay is a softer version. Both come from the rubber tree. Talalay, however, has a natural springy trait making it ultra-responsive and comfortable. It also provides pressure point relief. Talalay’s softness can be compared to that of memory foam. 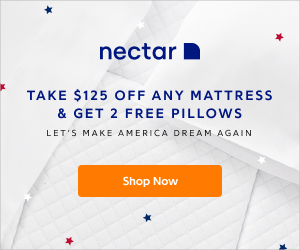 But what makes Talalay a better option than memory foam is that it doesn’t have the unpleasant odor that memory foam is notorious for. It is also very responsive and breathable, without the uncomfortable heat buildup that can leave sleepers sweating in the middle of the night. Talalay is also known for its ability to resist mite. Its unique cell structure aids in preventing dirt and dust from getting into the interior, and decreases the risks of dust mite bothering its users. The topper has a custom cover with braided edge. The cover is made of natural bamboo fabric. Once you lay down on the mattress with the topper underneath it, you will immediately feel the softness of the Ultimate Dreams King. It doesn’t bottom out, and feels very luxurious. While the topper is soft, it won’t give you the sinking in feeling. As you lie down on this mattress, you won’t feel that it is hard to get out of bed. Moreover, it instantly conforms to the unique shape of your body. It gently supports and comforts the sleeper all night long. Compared to other foam beddings, Talalay latex provides more pressure point relief. Whether you’re suffering from chronic back pain or your shoulder is always aching, you will enjoy your time sleeping on a mattress with the topper underneath it. And the mattress topper is breathable. 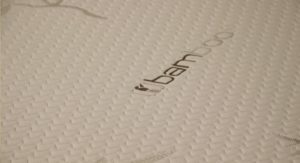 In fact, it is up to four times more breathable than other foam types like Dunlop latex, memory foam, and polyurethane. That means it can regulate temperature, preventing you from sweating too much particularly during the hot months. But what if you prefer a mattress topper that is firm? Don’t worry, as you don’t need to look for another model. 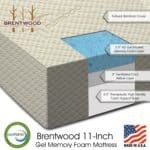 You can have this mattress topper’s firmness customized according to your preferences. The medium-firm latex topper is 28 ILD, which is ideal if you want to achieve greater pressure point relief. You can also opt for the firmest topper, which is perfect if you want to relieve pain in your back, hips, and shoulder. Firmer surfaces tend to have a better shot at eliminating the usual pinches and pain that prevent us from enjoying a good night’s sleep. This mattress topper is backed by a 10-year limited warranty. That means that if there is a defect that appears during the warranty period, the company behind it (Dreamfoam Bedding) will either replace or repair it within a reasonable amount of time. Warranty coverage includes body indentations of at least 1 ½ inches, and sagging. Most reviews by people who own the mattress topper indicate that this product doesn’t sag, but at least you have peace of mind knowing that you can get a replacement in the unlikely event that the mattress topper sags. However, the warranty coverage doesn’t include shipping costs. Thus you will have to pay for the transportation expenses, from the pickup of the mattress topper to the delivery of the repaired or replaced product to your place. 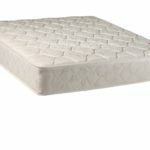 Overall, this mattress topper has favorable reviews from those who have bought or use it. Most reviews online agree that it can make any mattress more comfortable to sleep on. 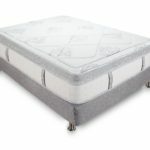 Other reviewers are also in awe with the customization feature or offer from Dreamfoam Bedding. One reviewer said he placed his order on a Monday, and after two days, the topper was being delivered to his place on a Wednesday. The topper came in a box that looked good. He said he was surprised that he was able to maneuver it up the stairs without any help. When he opened the package, he noticed the smell which according to him wasn’t disturbing at all. In fact he says his then new latex pillows released a smell stronger than that of the topper. After a few days, the smell was no longer noticeable. His initial impression was that the topper was soft, which was much to his liking. He said he wanted to replace his mattress but because of budget constraints, he settled for a mattress topper. But he didn’t regret the decision as he was able to save a lot of money, and was still able to snag a topper that was soft and comfortable to sleep on. He recommends this mattress topper to people like him who don’t have enough money to buy a new mattress. 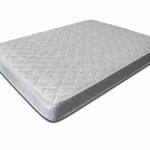 Another reviewer had the same impression about this mattress topper. According to him, he found the pad soft enough for his taste. Upon opening the package, he said he found the smell not irritating at all. The topper instantly plumped up, and gave his bed a very good cushion. What was interesting in his review was the revelation that he woke up an hour late than the normal. He said he had to scramble that morning as he was late for his appointments. He credits the topper for making him sleep more soundly. For that experience, he gave the mattress topper a 5/5 stars rating. The same reviewer updated his testimonial two years later. He said the topper remains the same, with no lumps or sagging. It still lays level on the bed, and remains comfortable to sleep on. But not all reviewers are happy with the mattress. One disappointed owner says it has broken down a year after he purchased it. He has contacted Dreamfoam Bedding and his replacement is on the way, at least when he wrote the review. For that experience, he gave the mattress topper 3/5 stars. Mattress toppers are heaven-sent to people who don’t have enough money to buy a new mattress, but would want to have a more blissful sleep. 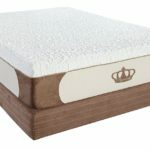 The Ultimate Dreams King 3 inch mattress topper is one product you should not ignore if you are on the market for a mattress topper. It has very good reviews, and the affordable price should all the more encourage you to try it. 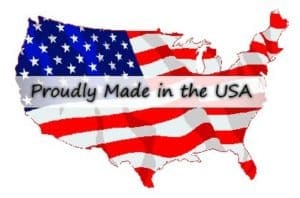 And if turns don’t turn out well, you can always contact the manufacturer, return the item, and get your money back. However, that is an unlikely scenario given the impressive qualities of the mattress topper as vouched by many of its satisfied owners.